*£1 for Members. £2 for non members. 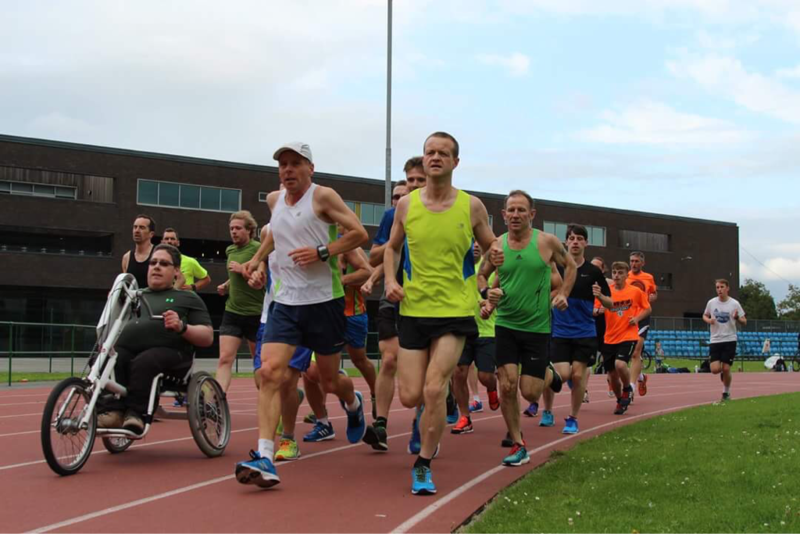 The track session is wheel chair friendly with access to disabled toilets. 16 years and over only!! Members and non members are welcome to these sessions. These social runs are FREE to all. Group 3 - 9+ minute miles. This group is for runners who can run 5-6 miles in 60mins. Group 4 - 11+ minute miles. This group is for runners who can run 4-5 miles in 60mins. Group 5 - 13+ minute miles. This group is for runners who can run 3-4 miles in 60mins. All groups will loop back and no one is ever left behind. 16 years and over only. These session are to help develop a wide variety of track and field events for our members to help train for upcoming athletics season. Sessions mix between outside and indoors depending on time of year. Cost is £1 per session. The Chiefs Sunday Express - This groups pace can get a little tasty as times. The distance can change weekly. The runs are announced on a Saturday in the members group and the coaches Facebook wall. Ask the coach about details on suitability for these runs. Members and non members are welcome to these sessions. These runs are FREE to all. ​6am runs - We have groups who train through the week at 6am. They do roughly between 5-6 miles. The Chiefs social runs - Adult coach David Edwards takes midweek running groups from Knotty Ash. These days can change weekly and are generally announced the morning of the run. These post can be found in the members group and on the coaches facebook wall.